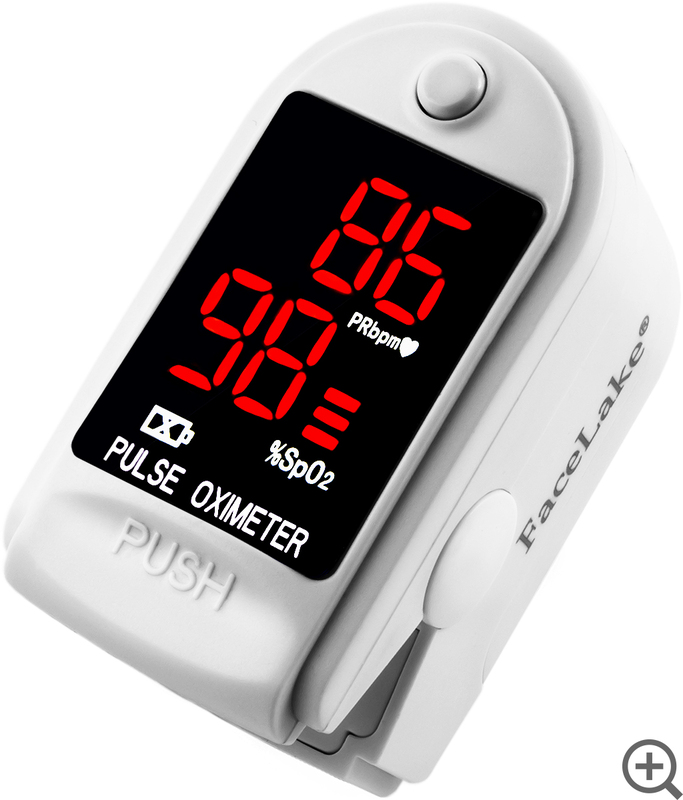 The Facelake FL400 finger pulse oximeter is a lightweight, portable device used for measuring both heart rate and blood oxygen levels or SpO2. Simply place your finger inside the antimicrobial vinyl sensor and have these vital measurements instantly displayed on a vibrant LED screen. Features a battery-saving automatic power off function and a heart rate bar graph. We stand by our products with excellent customer service and a one-year money back guarantee. We frequently sell out of this product. Order now to guarantee availability.